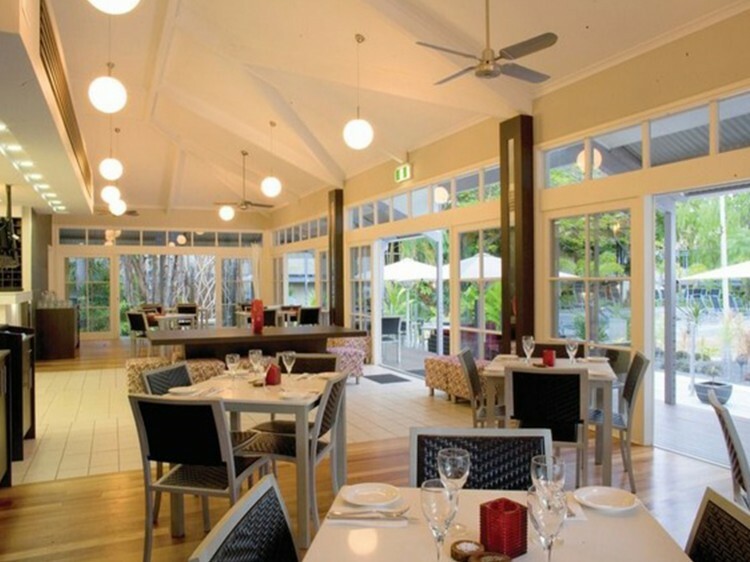 Location: The resort is located 5 minutes drive from Port Douglas and 400 metres to the beautiful white sand beach. 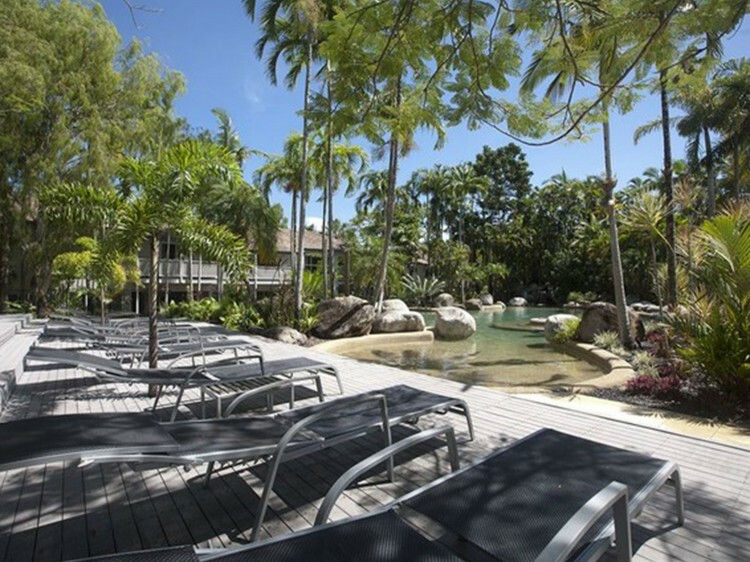 An ideal base from which to explore the Great Barrier Reef, Cape Tribulation and Daintree Rainforest. 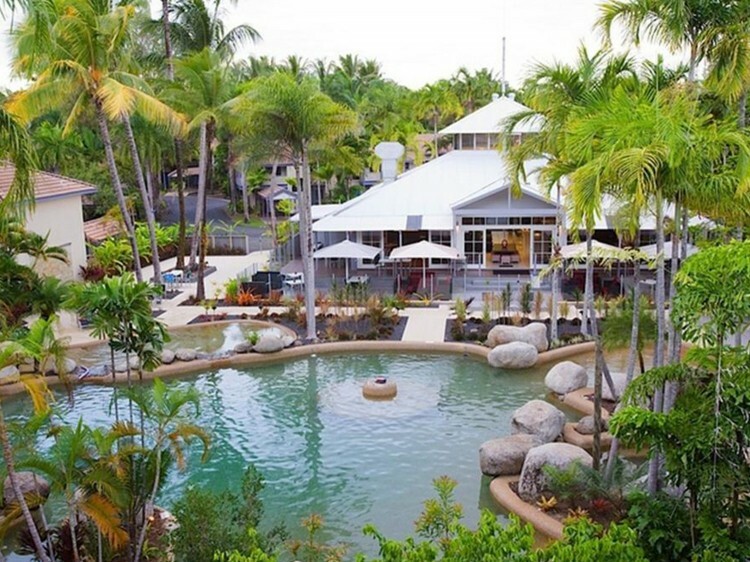 Port Douglas is an hour's drive north of Cairns and is a charming place with a village atmosphere, surrounded by the natural beauty of rain forests. Rooms: Deluxe 2BR villas have been completely refurbished with new furnishings, fittings and fixtures. All villas have 2 levels with garden or pool views and a balcony or outdoor patio. Furnishings are modern, and include flatscreen tvs. Downstairs features separate lounge and dining areas, fully equipped kitchen (electric oven with hotplate, microwave, full size fridge and dishwasher), separate laundry plus an additional shower and toilet. The airconditioned bedroom with king sized bed and bathroom are upstairs. The bedding configuration in the Deluxe 2 Bedroom Villas is either 2 Queen size beds or 1 Queen and 1 Twin beds. Restaurant: Swish Restaurant and Bar features a poolside, al fresco dining deck with outdoor lounges and huge umbrellas, offering the perfect place to unwind over tapas and cocktails. Exterior: This is low rise tropical resort set in 10 acres of lush tropical gardens against dramatic backdrop of rainforest and hills. It features three swimming pools with sundeck and lounges, as well as a tennis court and gymnasium. Lobby: There is a medium size, open lobby area in a tropical style. Reception offers dedicated tour desk facilities and a lobby shop. General: A value for money, resort style property suitable for couples and families. 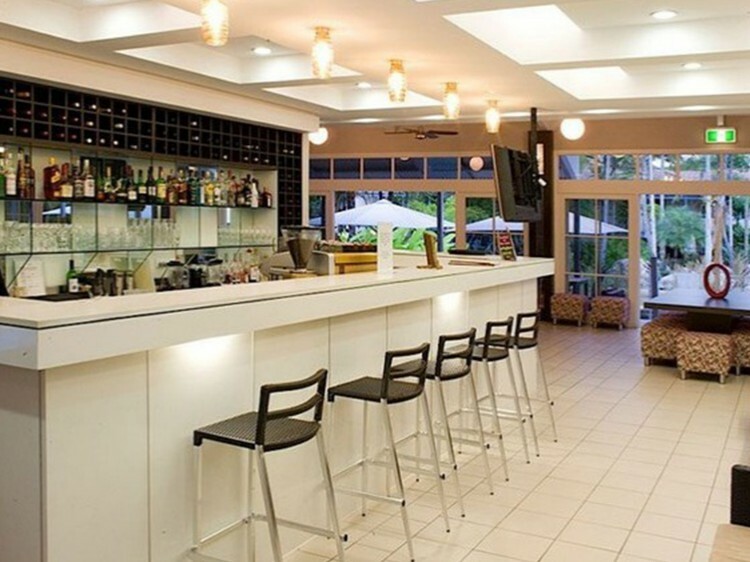 It underwent an $8million facelift in first half of 2008, and is looking fresh and modern. MN0908.